 Based in the center of Cape Town's legal district Bertus Preller & Associates Inc., is one of South Africa's most innovative specialist providers of family law solutions. The firm was named the South African Law Firm of the Year 2015 by ACQ5 Global Finance Magazine Law Awards. We pride ourselves on providing exceptional legal advice on a full range of family law services, and we offer a wealth of experience to ensure a compassionate, straight forward no nonsense approach to Family Law. Backed by cutting edge technologies, ediscovery and a highly secure platform for sharing documents in a client portal we strive to give our client’s the best possible service utilising technology to change and shape the law. As we understand that most couples would prefer to avoid the adversarial Court process, we offer alternative dispute resolution methods such as Collaborative Law, and we promote the use of family Mediation as a way of resolving the conflict. If however court is inevitable, we are equipped to take on the most complex and difficult litigation adopting a problem solving approach throughout. We also appreciate that spouses are concerned about escalating legal fees in an already difficult time in their lives, and therefore we offer a range of competitive fixed-price services and hourly rates services and ensure that costs are kept to a minimum. Bertus Preller, the founder of the firm, is the author of the book Everyone's Guide To Divorce and Separation. He is a member of the International Bar Association and serves on the Family Law Committee and the African Regional Forum of the Association. Bertus is also a member of reunite International Child Abduction Centre, recognised as the leading UK charity specialising in international parental child abduction and the movement of children across international borders and IACP the International Academy of Collaborative Professionals, an international community of legal, mental health and financial professionals working in concert to create client-centered processes for resolving conflict.The firm is also a member of the AEA an international network of lawyers with offices situated in 193 countries around the world. Our family law and divorce law attorneys all have outstanding educational credentials and years of experience, and they are primarily focused on Family Law and Divorce Law issues. It is said that divorce is more emotionally devastating than losing employment, about equal to experiencing a major illness, and somewhat less devastating than the death of a spouse so we understand just how traumatic this process is for you and your loved ones. As attorneys who are passionate about family law, we strive to help our clients to the best of our ability who are considering divorce or separation. Our lawyers are sensitive to the very difficult psychological challenges people face during divorce and separation. Our personalized approach allows our clients to deal with divorce using some creative approaches. ﻿Our family and divorce law department offers nationwide expert advice and assistance in all aspects of divorce, separation and family law matters. We can finalize uncontested local and﻿ international divorces in as little as 4 to 6 weeks. We levy an all-inclusive fee of R 6 500.00 for an uncontested divorce if one of the parties live in the Western Cape and R 7500.00 if they live elsewhere. We are able to conclude the divorce in as little as 4 weeks. Simply click on the link below and complete our online questionnaire. No consultations, all is done remotely and hassle free, you only appear in court. We levy an all-inclusive fee of R 18 000.00 for an international divorce (where one or both live in a foreign country) uncontested divorce. We are able to conclude the divorce in 6 weeks. Simply click on the link below and complete our online questionnaire. No consultations and hassle free, you only appear in court. We levy an all-inclusive fee of R 2 000.00 for an Antenuptial Contract (where both parties live in South Africa). Simply complete our online questionnaire by clicking on the banner below. It does not matter whether you live in another province and we will be able to register your antenuptial contract without hassle.